To achieve success and remain competitive, organizations need to hire, develop, and retain top talent. UltiPro® makes performance management a continuous, collaborative experience. With Ultimate’s performance management solution, you can assess employee performance and gather feedback on an ongoing basis to ensure productivity and quality outcomes throughout all levels of the organization. Retain your talent and improve overall business results, with UltiPro. UltiPro’s performance management solution enables you to understand your employees’ competencies, identify and reduce gaps, and plan for future workforce needs. 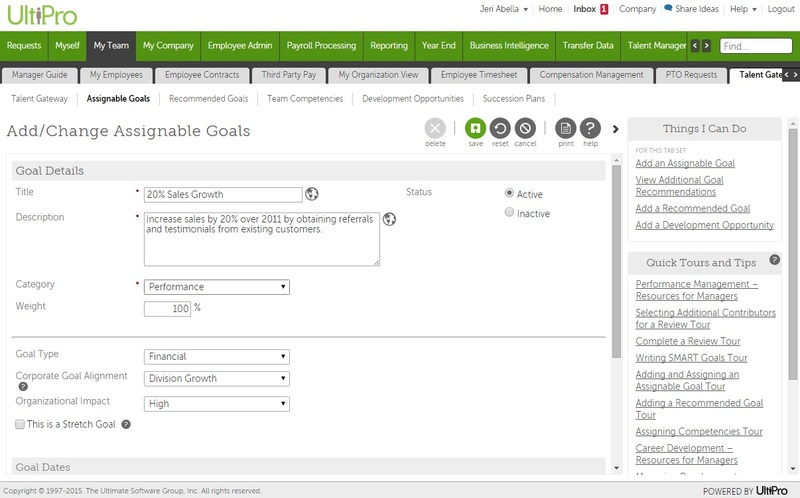 To learn more , check out our Performance Management Product Tour.